Join the studio that provides the best massage in the East Bay*! We are on a mission to improve the lives of everyone we touch, starting with you! We are currently looking for talented Massage Therapists who would like to grow with us and join our team of passionate healers. We are a strong, hardworking group with friendly and caring management who are devoted to your success. Recent graduates are welcome to apply, and we love to help student externs get a rewarding start to their careers. We are the only national family of massage studios that was founded by a massage therapist. Our massage therapists, as healers & care givers, are the centerpiece of our organization. How would you describe a great work place? What’s important to you? At Elements Massage™, these are key questions, because as much as we want to make sure you’re right for us, we want to give you the tools to evaluate if we’re right for you. We are hiring to staff our beautiful new Walnut Creek massage studio, and we invite you to check us out and get to know our team. Is the ability to focus on helping people improve their quality of life important to you? We change lives. Our clients tell us over and over again how important we are to their well-being. Elements Massage has the highest customer satisfaction rating in the country. Check out our clients’ feedback on our websites and on Yelp. Is full support Important to you? 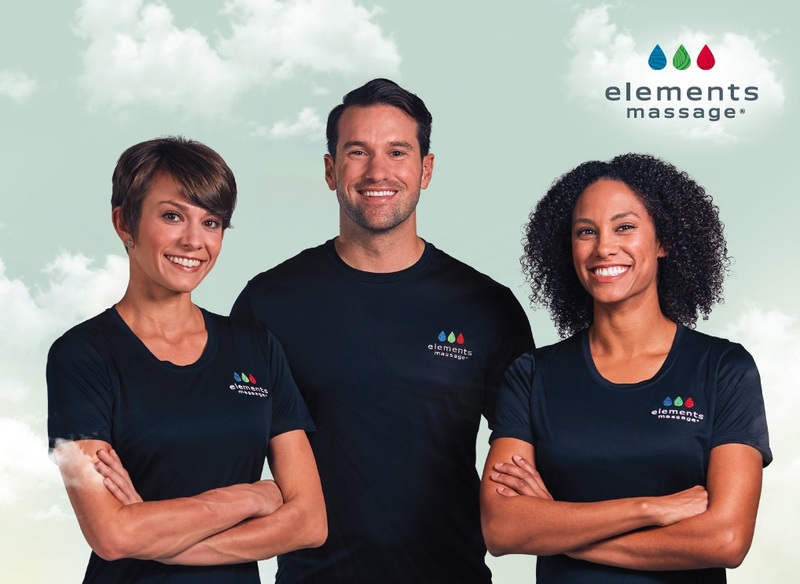 At Elements Massage, we handle all of the scheduling, bookkeeping, supplies and laundry, so our therapists can focus on customized client care. We invest heavily in local marketing, to help you build your client base. As owners, we know that our success comes from your success, and treat all of our employees with respect. Is community important to you? We have built a great team at our studio in Greenbrae, and look forward to doing so in Walnut Creek. Our team members value a "low drama" work place where you can have the support that you need! Our studio is independent and locally owned, and our owners are passionate about wellness and helping you reach your career goals. Is education important to you? We hire therapists with a variety of expertise and experience levels to help you build your skills. We offer 1:1 and small group training, as well as online CEUs. We will work closely with you to help you be your best and meet your career goals. Join an environment where therapists share their tips and tricks in the spirit of collective learning. Is career longevity important to you? We are careful to book our MTs based on their abilities and interest. We offer free monthly massages for our therapists and schedule breaks to match your needs. We have hydraulic tables to help you practice good body mechanics in your sessions, and a variety of special equipment to help with self-care. Is the studio environment important to you? Our clean and inviting atmosphere, designed with emphasis on quiet and uncluttered serenity, feels like a much higher-end spa. In addition to top of the line tables, we have towel warmers in every room. We focus exclusively on massage, so there are no products and potions for you to sell, or to clutter the lobby. We will work with you to build a busy schedule quickly. Our proprietary process has achieved higher satisfaction scores and customer loyalty than competitors locally & in markets across the U.S., enabling you to build a successful following. Our beautiful studio is in The Orchards at Walnut Creek, a brand new high-end shopping and lifestyle center at the intersection of Ygnacio Valley Road and Oak Grove Road. So what do you think - are we a match? Modalities desired include Sports, Deep Tissue, Hot Stone, Prenatal, Trigger Point, Swedish, and others. Elements Massage is open 7 days a week and we have multiple shifts to choose from. Flexibility to work evenings and weekends will make you available to more clients AND give you the opportunity to make more money. A current CAMTC Certificate and liability insurance are required. All Massage Therapists must maintain CAMTC certification and liability insurance, and pass third party background checks prior to employment. To be considered for this position, please email your resume and a letter of interest, along with your CAMTC number, to walnutcreekmgr@elementsmassage.com. I acknowledge and agree that I am applying for a job with Elements Massage® Walnut Creek.